In most cases, a wrong turn amounts to little more than an inconvenience - but in this instance it saved a life. That's when Culloch spotted something in the distance - a dolphin stranded in the shallows. Instead of simply turning the car around and continuing on their way, Culloch and Roberts did the opposite: They walked out to see if the animal was still alive. She was - though judging from the blisters on her skin from being out of water, it wasn't clear how much longer she'd last. "We called the police, the British Divers Marine Life Rescue (BDMLR) and the SSPCA," Culloch told The Dodo. "They came and took charge." Culloch stayed by the dolphin's side as the rescue workers set about keeping her comfortable. 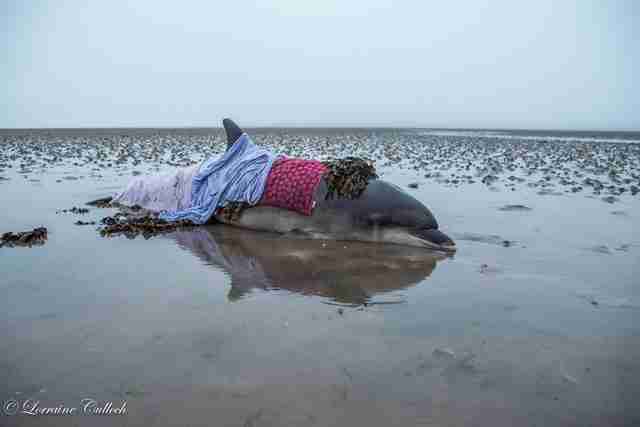 Since the water was much too shallow during low tide to try to move her, they used towels to keep her skin moist. 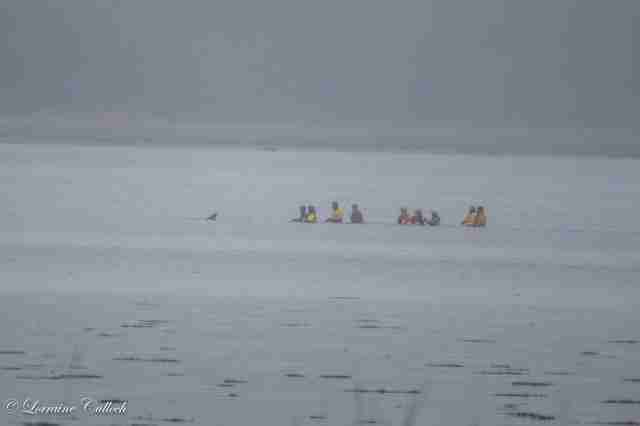 "The dolphin seemed aware that we were there to help," said Culloch. "She was very calm the whole time." 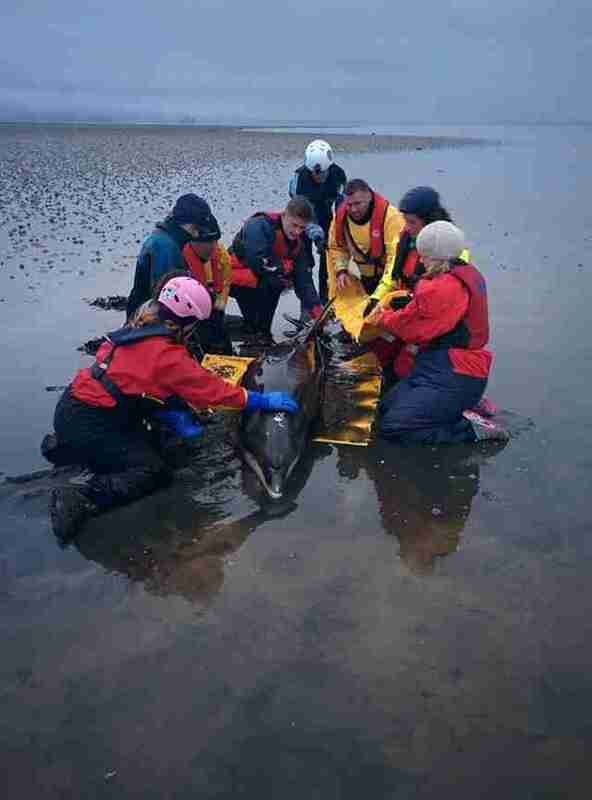 Though Culloch and the other rescuers were swift to act to keep the dolphin alive, returning her to the sea would take much longer yet. Given that the inlet was virtually impassable, they would have to wait nearly half a day for the tide to rise. "We were there for 10 hours, until a little after 4 in the morning," Culloch said. That's when the time finally came. 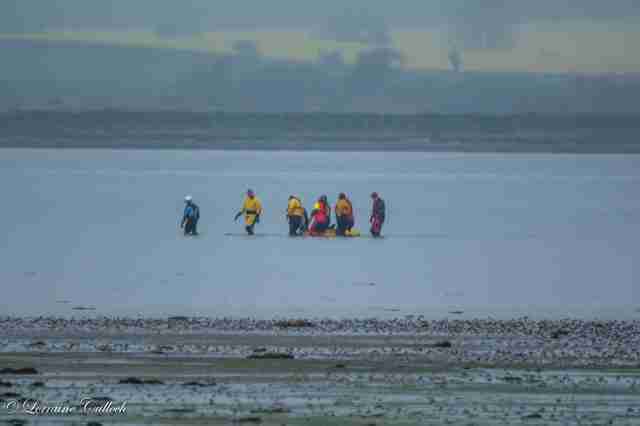 In the wee hours of the morning, while Culloch looked on, the rescue team lifted the dolphin back out to deeper water. At first, the animal seemed disoriented, but soon corrected course. 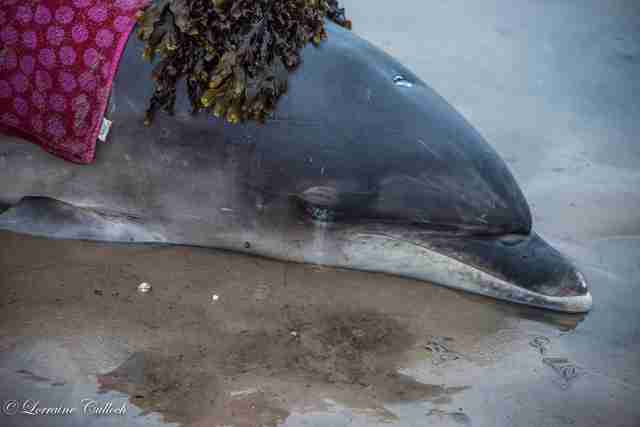 "When she regained her strength, she swam away out of the bay," said Culloch. "She was swimming strong. That was a good sign." Culloch certainly hadn't been planning to spend all evening in the place where she'd gotten lost hours before, but she's pleased that her misdirection ended with such a happy outcome. "It's a great feeling to be part of giving this dolphin a second chance," she said. "Everyone involved in these rescues are amazing people."